TASTE THE UNITED STATES. 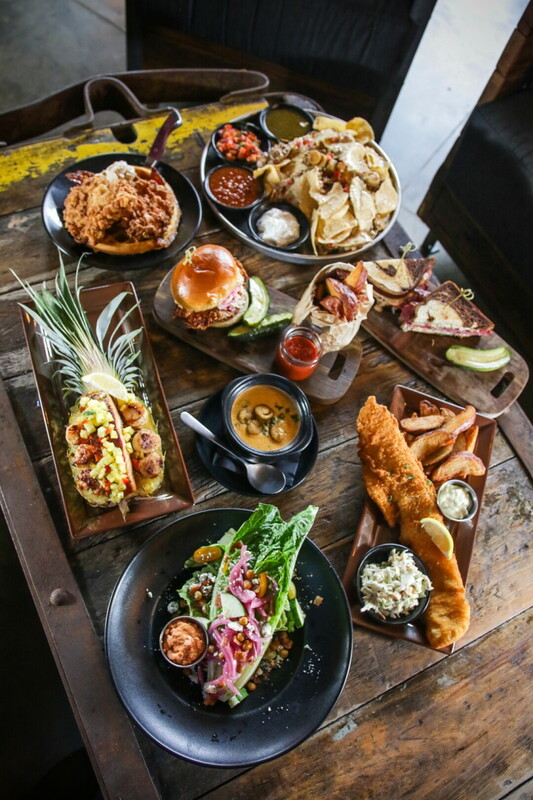 44 North’s upstairs dining venue has a menu that features regional eats from around the country. 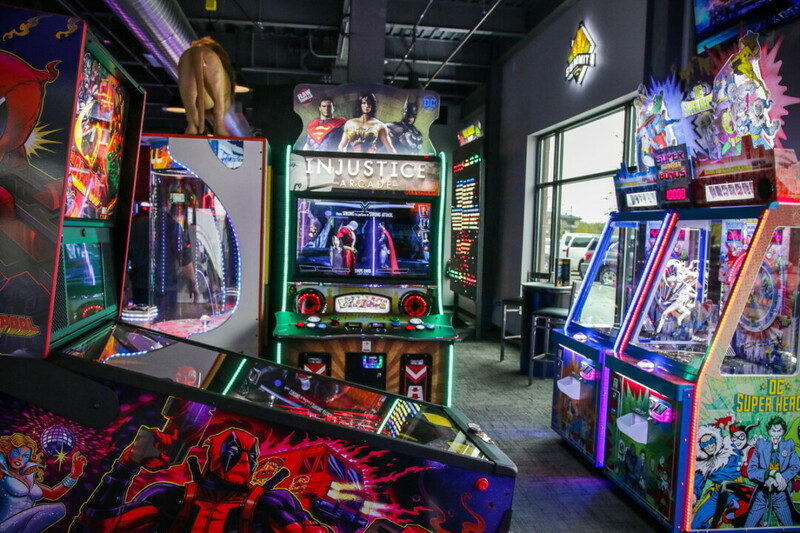 After a meal, diners can enjoy hours of gaming in the downstairs arcade. Vs., Wilkes said, is the perfect place for a family affair. The space has a bar, games and TVs, so while the kids – and adults! – are playing games, the rest of the family can watch the game on TV. The gaming area isn’t just for fun though, because winning gamers could be going home with anything from trinkets to Green Bay Packers tickets. 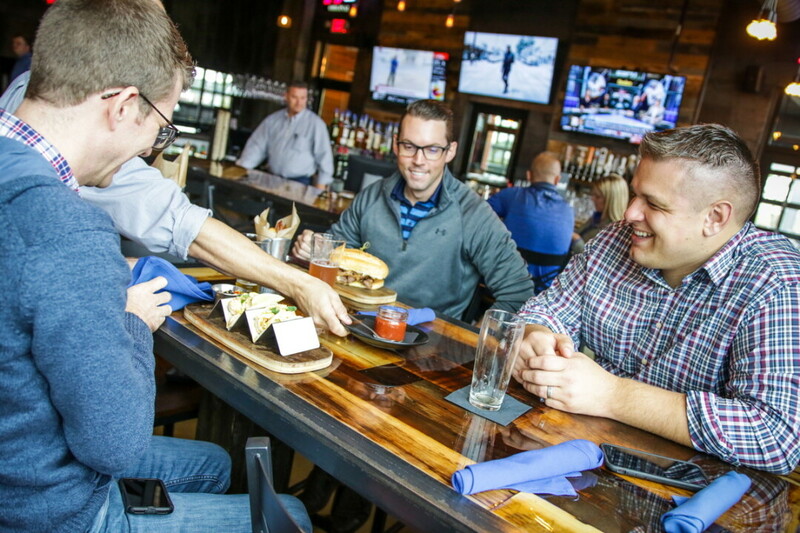 The downstairs menu is packed with typical sports pub food: burgers, wings, wraps, and apps. Meanwhile, the upstairs is a much more quaint dining experience. “You wouldn’t even think you were on the same property,” Wilkes said. Upstairs at 44 North – named for the Altoona’s latitude – has outside seating, complete with a fire pit and heat lamps to say warm in the already brisk temperatures. At 44 North, the menu gets a little more diverse. Prefaced with a large heading that reads “Start the tour,” guests can pick out appetizers ranging from classic cheese curds to avocado toast. From there, the menu is separated into different regions through the United States. Of course, there’s a Midwest section, which features a “twisted buffalo mac” topped with Ellsworth Cooperative Creamery cheese curds. 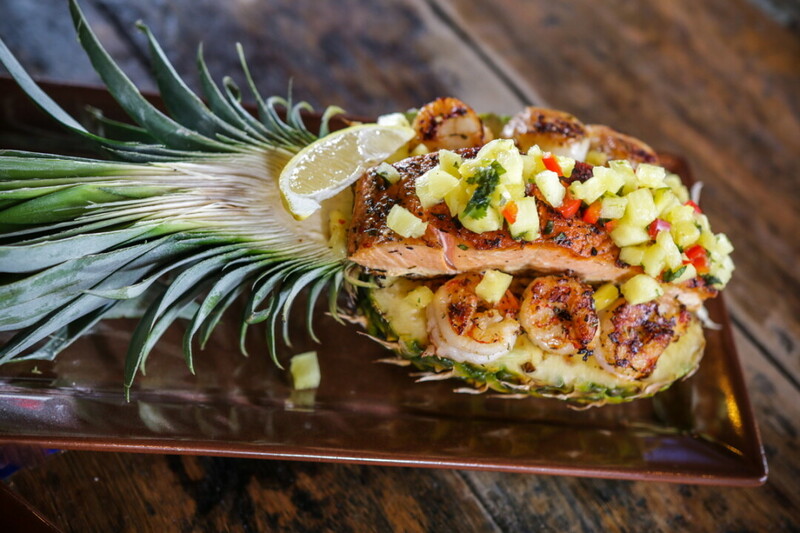 If customers are hoping to be a little more adventurous, they can travel on over to the “South” or either of the coasts for their entrees. The developers of 44 North picked River Prairie for the vibe is was already sporting. The “stay and play” atmosphere of River Prairie is what drew them to the area, Wilkes said, because they were going for the same idea with 44 North. “We just want to have that ‘staycation’ feel that they were trying to go for in the first place and give more options to keep people down here longer,” Wilkes said. Long term, Wilkes hopes to open more 44 North restaurants around the Midwest. 44 North is located at 1488 Front Porch Place in Altoona. It’s open 11am-midnight Monday-Friday and 10am-midnight Saturday and Sunday.